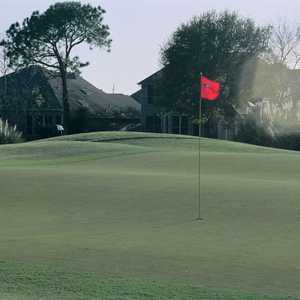 JERSEY VILLAGE, Texas -- Since the city of Jersey Village bought and took over Jersey Meadow Golf Course in 2001 and reduced the number of holes from 27 to 18, Jersey Meadow has enjoyed a loyal following, and for good reason. It's a consistent parkland golf course with fair prices, good conditions and just the right amount of challenge for every level of player. 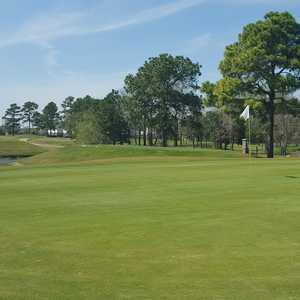 Jersey Meadow Golf Course, just northwest of Houston, has a reputation for being a solid value. Once home to one of the world's largest herds of Jersey dairy cattle, the site is now the Jersey Meadow Golf Course. The course has evolved and changed dramatically over the years, including a major renovation in 2004 that replaced all the greens with Bermuda grass. Redesigned by Carlton Gipson in 1992, this former dairy cow pasture (with emphasis on former) has undergone a few improvements over the past couple of decades, including the installation of Champion Bermuda greens. Those greens remain consistent and smooth today and can even present some interesting reads. The course is well bunkered, and there is water on 13 holes. At first glance, 6,671 yards from the back tees might not seem like much of a test for a good player, but it is a par-71, so it's a formidable test. And while a scratch golfer can certainly go low at Jersey Meadow, most players will find the narrow fairways, trees, water hazards, mature oaks and bunkers plenty to chew on. Since some of the holes have doglegs that make it difficult to pull driver, the course can play a little longer than it appears. "It's plenty long enough," said Director of Golf Lynn Parker. "It really is no bargain. There are some really good holes out there." Besides overall good conditioning, the biggest plus to the layout is that there's a great variety of holes. The par 3s are all different, and the par 4s are varied lengths, with some presenting good risk-reward opportunities. The par 5s are definitely where the better player can make up strokes, though, even from the back tees, with the longest hole being the seventh at 519 yards. Still, there are some difficult holes, like the second, a 444-yard par 4, and the 10th, the No.-1 handicap hole at 434 yards. What makes the 10th difficult is the narrow fairway -- trees on the left and out of bounds on the right. And while homes don't often come into play, they do present a problem every once in a while on the course. 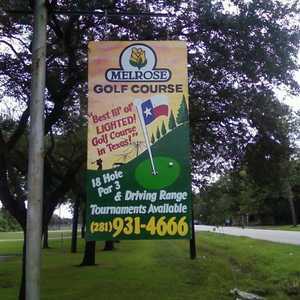 Simply put, Jersey Meadow Golf Course is solid golf and perhaps the third best municipal golf course in the Houston area behind Memorial Park and Galveston's Moody Gardens. Not only is the course consistent, but the facility is also very golf centric with league play, junior camps and a discount membership program. Inside the spacious clubhouse, you'll find all the usual fares of a good public facility -- good burgers, plenty of beer and ample amounts of free ice water. Considering Houston's warm temperatures, the last item can't be underrated. Jersey Meadow also has nice practice facilities, including a large grass range, practice bunker (both for greenside and fairway shots) and practice chipping green. Lessons are also offered from the staff and Parker, who spent three years playing on the LPGA Tour before turning her attention to the club professional level.